Is home a place—or a person? Anna’s about to leave Bramblewick behind. She’s due to marry her childhood sweetheart in a few weeks, and then she’ll be heading to Kent and a whole new life. Connor’s a new arrival in Bramblewick. 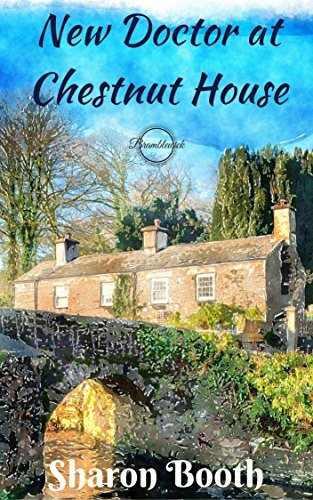 He’s bringing with him a whole lot of baggage, and he’s doubtful that this small village on the Yorkshire Moors is the ideal place for him and his daughter, Gracie. It’s not easy for Anna, watching Connor move into her family home and take over from her beloved father at the local surgery, but she’s determined to help him settle in and adjust to rural life, so that the villagers get the doctor they deserve. Connor’s not convinced. This country practice is very different to what he’s used to, and the locals have some strange expectations of their GP. Protective of Gracie and hiding behind self-constructed barriers, Connor struggles to adapt to life in Bramblewick. Can Anna convince him that this is the place where he and Gracie can finally find happiness? And can she convince herself that leaving Bramblewick is the right move for her? New Doctor At Chestnut House is available here.